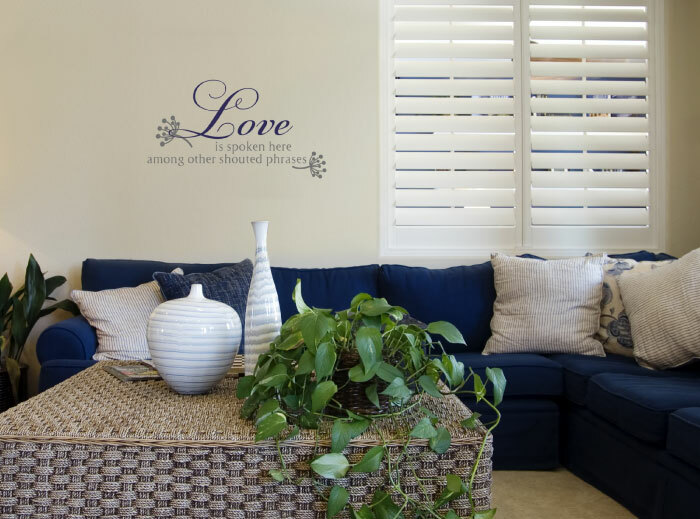 Are you looking for wall decor that is suitable for your family room? Read on. We have what you are looking for! 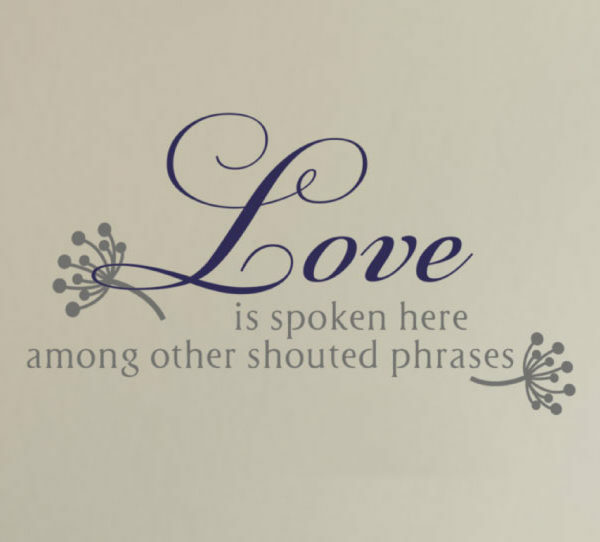 At DecorativeLettering, we have wall words such as ‘Love is Spoken Here Among Other Shouted Phrases’. Not only do they look great, but also they will help you help you set the mood you want in this room! The lettering art also does the same. We applied them on the wall above the couch. They tie in with the decorative pottery, green plant, cushions and the woven style coffee table. 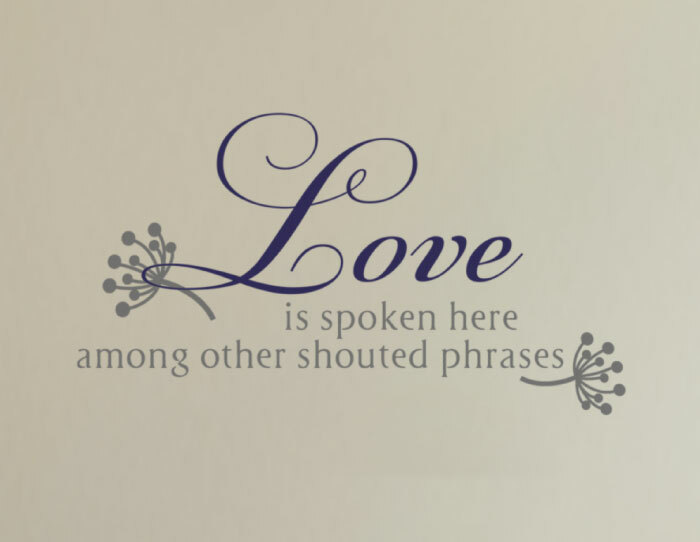 The wall lettering will be a reminder to friends and family on how to build great lasting relationships! 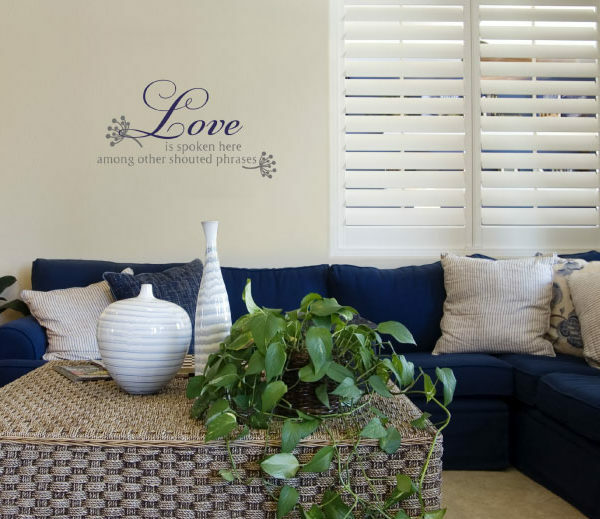 DecorativeLettering wall letters are affordable, durable and easy to apply. We have a customer awards program that makes it easy for you to buy more for less! Should you refer us to a friend, they will get a discount on their first purchase. You, on the other hand, will earn extra points, that are redeemable. Now, that is a great deal: sign up! Our wall decals are resin made. This makes them resistant to extreme temperatures. They will look great every season, every year! Getting them up onto your wall space is easy. Peel the underlying sheet and stick the adhesive side of the lettering onto the wall. It is that simple! Get in touch. 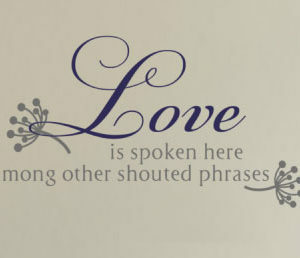 Let us help you decorate your family room with amazing wall quotes that strengthen family ties!